It’s just not fair. If I had a dollar for every time I have uttered those words in 60 years, I would have had the $18,997 needed to pay for that car. After going to my local Mini dealership on October 6, I lost my appetite, my stomach was upset, my sleep was erratic and I found myself crying whenever I saw a Mini drive by. Sometimes, I cried when any nice car drove by. How did they get a nice car? Was everyone with a car richer, smarter, more creditworthy, or luckier than me? I missed two days of work, spending the days listening to music and doubting my self worth as I replayed every bad decision I had made since puberty. I was gearing up for a month-long pity party. It was silly of me to think that two short years of full-time employment would qualify me for Certified Pre-Owned Car ownership. But I believed the salesperson (or “motoring advisor”) when she gave me an interest rate and monthly payment that I could afford. Getting the car of my dreams would be the chariot to propel me to even bigger and better things in the future. I should have known better. But sometimes hope is the only battery that keeps us banging our drum. When I left work early on that fateful Friday and went back to the dealership to pick up my new British Green Mini Cooper S, I was feeling on top of the world. But my glee soon turned to gloom when the motoring advisor told me that the rate she gave me did not take into consideration my current credit situation. When the real numbers were run, the monthly payment ballooned from $434.34 at 11.49 percent APR to $636.66 at 24.73 percent APR, with $1,000 down. I would end up paying $46,839 for a $19,000 car. I was beyond devastated. I walked out of the dealership and tried to hold back my tears. The general manager came outside while I was waiting for a Lyft and offered me a free Uber ride. I declined. I could at least afford my own ride home. After spending a few hours crying, I started to get mad. During my initial visit on September 30, I had asked the motoring advisor if the quote was the final one, and she assured me that it was the price I would be paying. On that Friday, the general manager tried to explain away the discrepancy by the fact that the young woman was a new employee. After I couldn’t get to sleep, I wrote an essay for my blog expressing my disappointment and anger. The next morning, I wrote letters to the president/owner of the group of dealerships that sold eleven mostly luxury European brands throughout the Sacramento area and the office of the president of Mini USA. I sent my essay to the vice-president of the group, to a local television consumer affairs program, and to several publications. I posted a link to the essay on my Facebook page. Several of my friends posted complaints on the dealership’s Facebook page. A few days later, I got a call from the general manager, who said that he would put the car on hold while he searched for financing. He kept up the search for three weeks, sending me weekly e-mail updates. He asked me if I could get a co-signer. As time passed, I felt less confident that I would ever own a Mini Cooper. For months, I had been getting letters from my credit card company stating that I was pre-approved for auto financing. Each time, I threw the letter away. This time, I went to their website to check it out. I put in my information and was pre-approved for $40,000. It had to be a joke, right? I did a search to see if any Mini Coopers were available at other local dealerships. 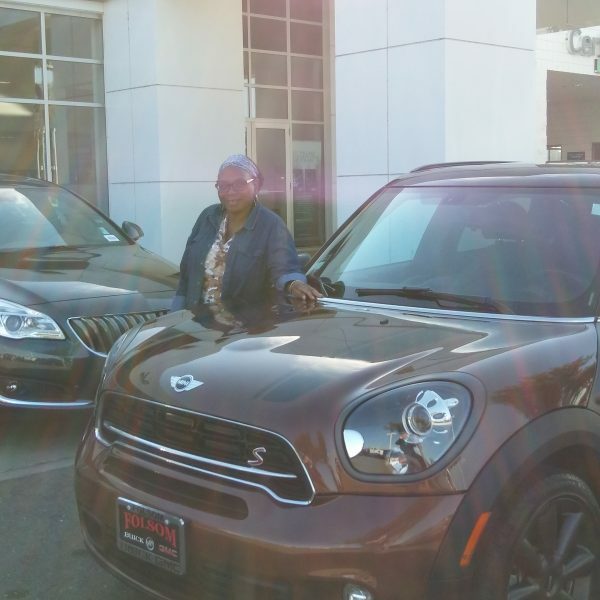 There was one car that caught my eye, a Copper Brown 2015 Mini Cooper Countryman S at a local truck dealership. It only had 15,000 miles, less than half of the 35,368 miles on the other Mini. The car was a four-door instead of a two-door, but it had all of the features of the other car, without the Certified Pre-Owned Car designation. According to the Carfax report, its only owner had bought it new in 2015. On October 28, I went to check out the car. I told the salesperson that greeted me that I didn’t want to test-drive the car unless I was able to purchase it. After sitting for an hour while he ran the numbers, I got up to leave. The salesperson hurried over. He said that he got the payment down to $459. Could I handle that? Yes I could. I put $1,000 down from my newly increased credit card limit and got a 9.2 percent APR, which meant that I would end up paying $25,000 for my car instead of $46,000. After signing lots of forms and calling an insurance agent at 8:30 p.m. on a Saturday night, I had a car again for the first time in sixteen years. The next day, I sent e-mail to the general manager of the dealership that I had been entangled with for over a month. I told him that I had purchased a car from another dealer. I felt vindicated. I vowed to pay on time each month and make extra payments in order to pay the car off in less than five years. My newfound freedom was well worth the money I would pay each month for my car payment and insurance. My anticipated pity party was replaced by a victory dance.